Mohamed Lamine Bouhali has been ousted from his post as defense minister of the so-called Sahrawi Republic “SADR” by the Polisario leader, Mohamed Abdelaziz, just one month after the holding of the 14th Congress of the Polisario. Mohamed Lamine Bouhali who has been holding the position since the early 80s has been replaced by Abdellahi Lehbib Bellal, a member of the General Secretariat of the Polisario. Bouhali was offered the position of “Minister of Construction and Resettlement of liberated territories,” but has rejected the offer. 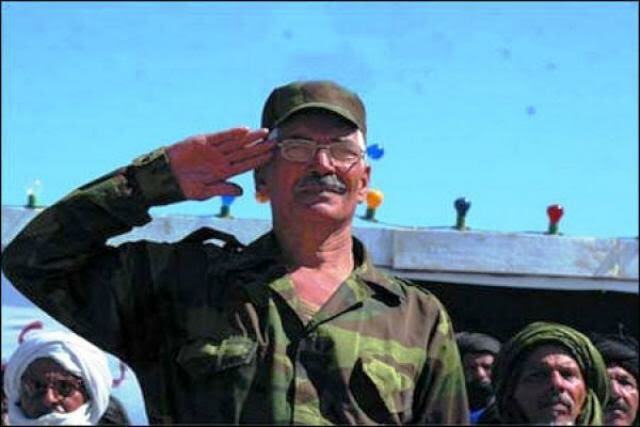 Bouhali, a former Algerian soldier who climbed the ladder to become one of the hawks of the Polisario, has long managed the Tindouf camps with an iron fist, crushing all opponents of the separatist thesis. Ousting Bouhali is certainly the first big decision made by the unmovable Polisario chief since his reelection last December for another term at the head of the separatist Front. According to analysts who closely follow the Western Sahara issue, Bouhali’s eviction was ordered by the Algerian Military Intelligence services (DRS.) The DRS are headed by General Athman Tartag, aka Bashir, who took over General Toufik, in September 2015. Bouhali who has always called for the resort to arms against Morocco has been accused of contacts with terrorist groups and drug traffickers. According to Spanish media, this former soldier of the People’s National Army (ANP) has reportedly delivered to terrorist groups operating in the Sahel a batch of light weapons offered by Algeria to the Polisario Front. He has also been repeatedly mentioned in international NGOs’ reports for his involvement in the embezzlement of the international humanitarian aid destined to the Sahrawi populations in Tindouf and in cases of forced disappearances.